Helps you open obstinate milk cartons, etc. 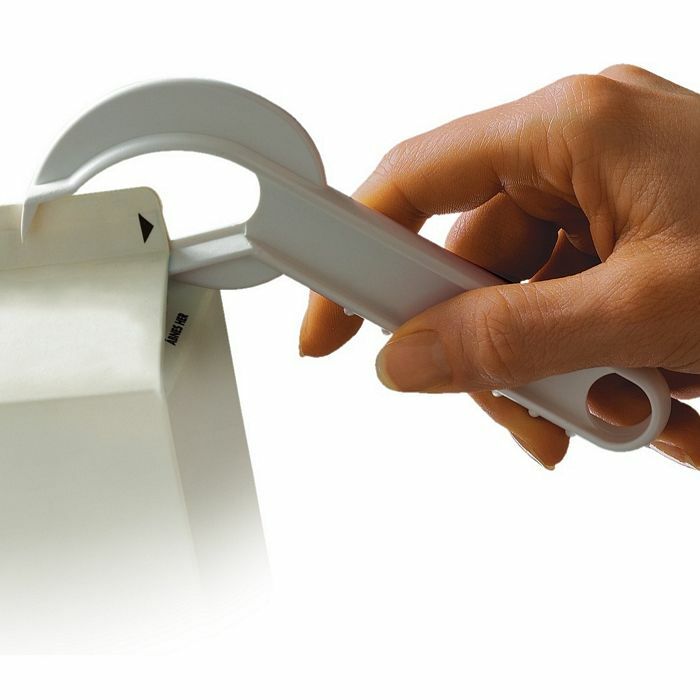 Patented opener which makes it easier to open cartons of milk, yoghurt etc. Place the TipTop against the top of the carton and split it open with a gentle lift. Then carefully pull the carton open by the use of the small hook. NO MORE USE OF FORKS, KNIVES ETC. WHEN OPENING CARTONS! Opening milk cartons can be a hard day's work! Most of us have tried with a fork resulting in injuries or in the luckiest cases milk all over the place. 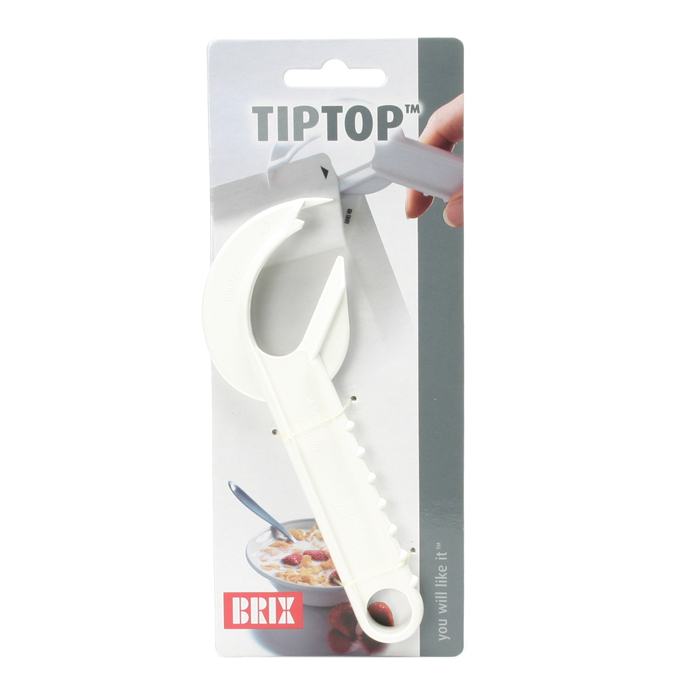 The TipTop is made of high-density ABS plastic in an elegant design.